Initially I thought about creating an LED response to a heart pulse monitor that would change colors based on a range of frequencies and map that to specific colors — similarly to a hi-tech mood ring… err heart in this case. 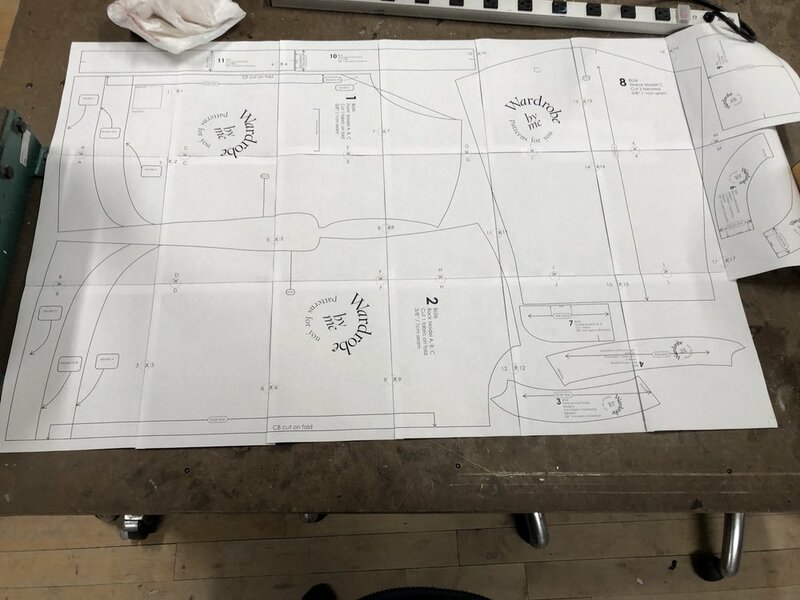 I planned on creating a jacked for this application yet found that I had no clue whatsoever on what would be involved in the process of putting together a jacket and realized that it was above my head in skills for the time being and will aim to make this in the next half of the semester. 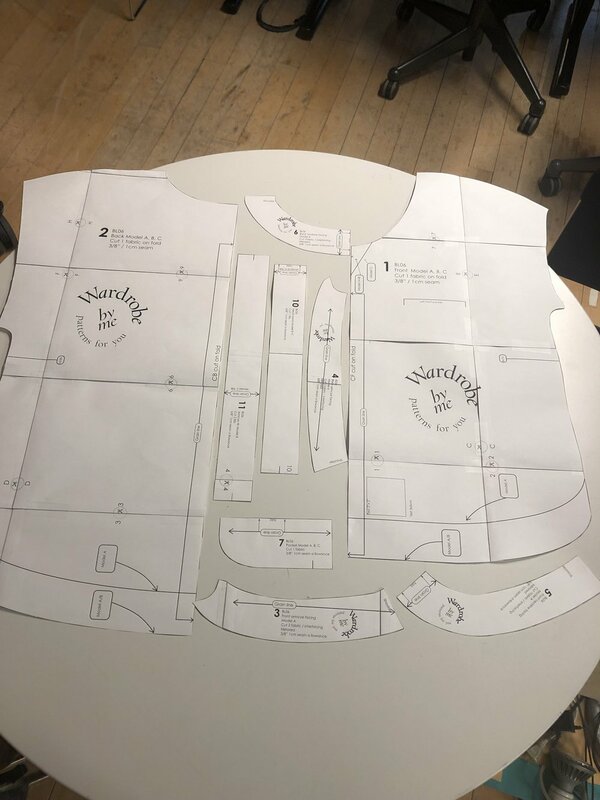 For this project I was keen on learning how to use the industrial sewing machine and put together a garment from a pattern. I found an a few great patterns on etsy with quick downloadable PDFs that had their own construction as well. I wanted to try out different fabrics and learn how they handled the machinery as well as how to shape them together as well. I setup and set out with some of the free fabrics in the lab as well as some Italian wool I purchased for the jacket I plan on making later in the semester. I then ironed the fabrics and attempted to use tailors chalk to mark the patterns for cutting. I had so much struggle with this process. The fabrics were a bit slippery and would shift constantly. Finally I found that a mix of brute force and particular angular movements helped me reach success quicker. It was far easier to chalk up the jersey and canvas materials over the sateen which was pretty stubborn throughout the entirety of the process. Sewing was an entirely different animal. I would say it is an incredibly humbling process and glad I spent the time getting to know the hardware. I struggled with getting some of the more difficult pieces together but learned more in the process and happy that I stuck with it. I tried out different fabrics and different connections to see what worked best in the process. Since I wasn’t able to make the pulse sensor piece work with this garment, I decided to use a Lilypad mini to prototype the blinking lites — I used 10 in parallel to create the heart. I had sewn on the pocket prior to making this decision to use the sewable LED’s so created another circuit on a scrap piece of fabric that I then inserted into the pocket — next time more thought will be made to hide the threads!